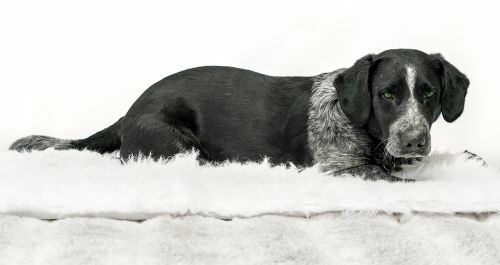 Oreo is just one of 17 dogs that were in a home where the owner was ill and unable to care for them all. He and his brother Bouncer,  who is also with us,  are very bonded  and it is our hope that someone would choose to adopt them together. The boys do pretty well on leash and enjoy their daily walks. Bouncer could win the race of who can climb the fence the fastest race... They are both affectionate and love to be pet and cuddled. 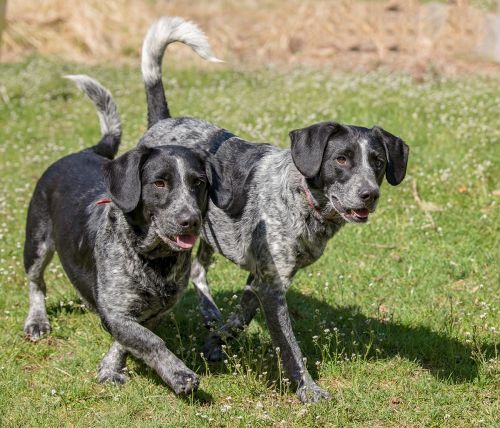 They would likely be ok with most other dogs, but they're active and strong and may have too much energy for some dogs to put up with. 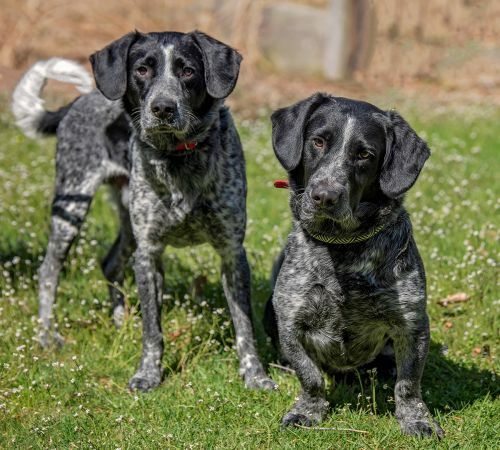 Oreo and Bouncer are 1 1/2 to 2 years old and like most young dogs, they would benefit greatly with further training and socializing. They have already grown from shy dogs to much more outgoing and confident dogs  just during their stay with us! Oreo and Bouncer are kindly sponsored by Bob and Lorna Barrie, Kevin and Barbara Krantz, Dawn Tunstall and Mark Zafuto and Diane Weakley. They are also sponsored by Steve and Diane Mogavero, Jane and Joe McMaster and Linda Bradigan in memory of Shaleigh and Rich. Our thanks to everyone who sponsors the dogs! If you think you might be interested in adopting, your first step should be to complete an adoption application which you'll find under each dog's photo. If you are on Petfinder, you will need to go to our webpage at https://m.youtube.com/watch?v=SCQFNNw6PjI (just copy and paste that link in your browser). The application to adopt is  in the very lower left hand corner of each pet's webpage. We do adopt out of state, however we do not transport or ship dogs. 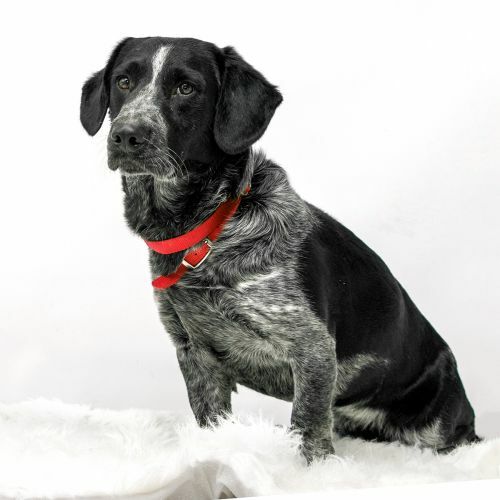 Potential adopter must be able and willing to travel to the Rescue to meet the dog they are interested in.